Are you an Apprentice with room to grow, or a maintenance Master? In the ever-changing world of maintenance management, it can be difficult to know if you’re doing everything you can to stay on top of your own game, let alone keep up with industry trends. That’s why we’ve created Fiix Score, a quick, fun quiz that gives you a basic idea of how your team is doing in terms of managing work orders, staying on top of backlog, and reducing unplanned downtime. 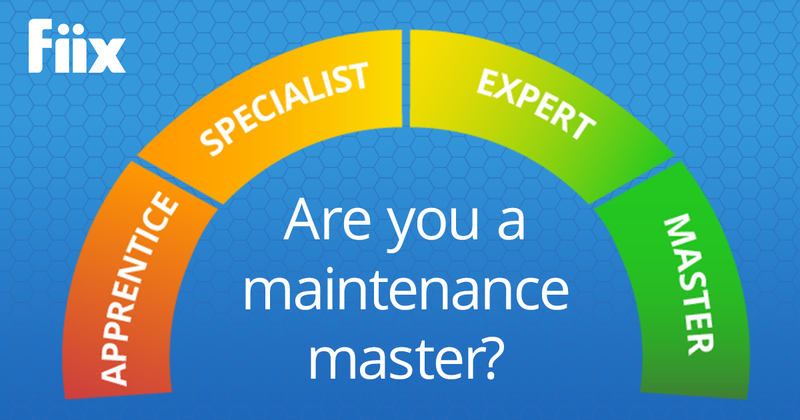 Take the quiz now to instantly receive your score, as well as a comprehensive breakdown of where you’re at with your maintenance strategy and how you can improve. You’ll also receive reading materials as well as tips and tricks so you can hit the ground running on your way to maintenance rock-star status.